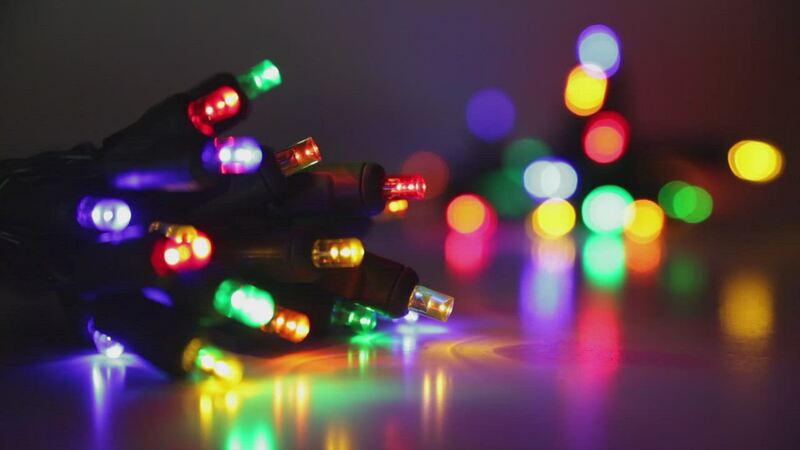 Add fun illumination to your holiday crafts and party decorations with all the best colors combined! Battery operated LED lights feature vivid illumination, energy efficiency and long life, providing you with the perfect solution to your craft projects! Incorporate battery operated LED lights featuring steady and twinkle options into holiday crafts or event decor and enjoy years of professional quality lighting in your stunning creations! I have been really pleased with these lights. There are just enough lights for my project. I make Christmas tree quilts that hang on the wall and can be lit with twinkling lights. This is a perfect product at a great price, and I will be purchasing them again. Pleased Customer! I needed lights for my Nativity Set, but I didn't have an electrical socket where it was located! Not only were the lights bright and colorful, but the advantage of being battery operated was too good to be true! Very pleased customer! These lights are not what I expected. I thought they were plug in and at least had a timer. I am returning them. The green and blue lights stop working before the red ones. Everything worked again after I replaced the batteries. I reached out to the company for assistance, but still have not received a reply to my email. We live in a golf cart community and I bought these lights to decorate my golf cart for the Christmas season. They work great, and the fact that they are battery operated was the perfect solution for my golf cart. I was surprised when I first turned these on. They are just as bright as any LED that run on AC current. I wanted to put lights on my golf cart for the season, and these are perfect. I get a lot of comments on them. The lights were advertised as having the ability to twinkle, but the lights did not twinkle. Received lights as advertised. I have a beard and was able to "light it up " as they say. Will send a file via email so you can see. You might use this idea for advertising. Just bought these after the holidays so haven't used them yet, but they appear to be very good quality. Surprised it takes 3 batteries - hope it lasts all month... Love the brightness and the mini lights though! I needed some small lights for a school project and these worked very well. This is an example of what LED technology is supposed to be. The lights are nice, but they go through batteries way too fast and the control box is weak. Prompt delivery and just what I was looking for. The lights are my favorite part of our Christmas decorations. Because I have too few convenient outlets, I wanted to try the battery operated ones for a garden window, the top of my upright piano, the top of my TV, and a plant. At first I wasn't sure why the lights did not seem very bright. I switched from the Energizer batteries to the more expensive Lithium ones and the results were immediate. With the regular batteries, as many as 8 lights on the string eventually went out. I thought at first that i was going to have to return the Lithium batteries, which cost $20 for 12, certainly add to the cost of operating the lights. I like to keep the lights on all day. I like the fact that the electric lights are cheaper to operate, but the battery operated ones are more convenient. Love these lights. Nice and bright - better than the average dim battery operated strands.Very versatile. The LED lights work as advertised. These lights were no disappointment. Bright ! Easy on / off button. Like that you have the option of steady and blinking. Tree looks beautiful ! Thanks! We have an entry to our home with no electrical outlets. The area is covered and protected so the battery pack doesn't get wet. The battery operated Christmas lights work very well. Bought 2 sets of these lights for small outside tree. Each strand will run about 10 hours on 3 (cheap) AAA's. Note: I wrapped the battery boxes inside a ziplock bag as a precaution to wet weather. This is the third year in a row that I have ordered from this company. I highly recommend them!!! Their products and services are outstanding.